Probably the only thing I miss about the Oprah Show is her annual favorite things giveaway. It was always interesting to see what items she was currently coveting and gifting to her audience. I believe she’s the culprit responsible for introducing most of the country to UGG boots… and while that’s unfortunate I’m so glad she continued her giveaways year after year. 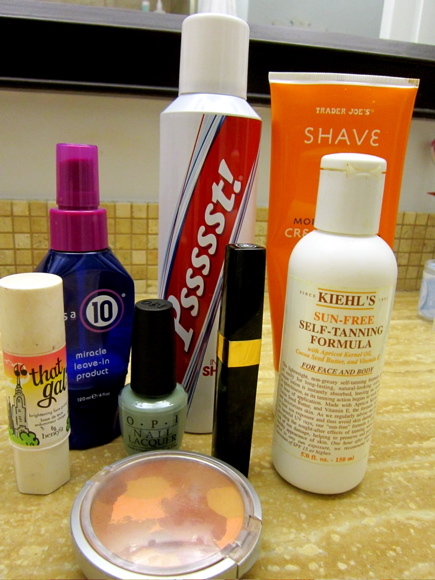 This isn’t a giveaway but I thought I’d show my favorite beauty products. I’m always interested in what others use and love, so here are mine! Let me know if there’s anything I must try!